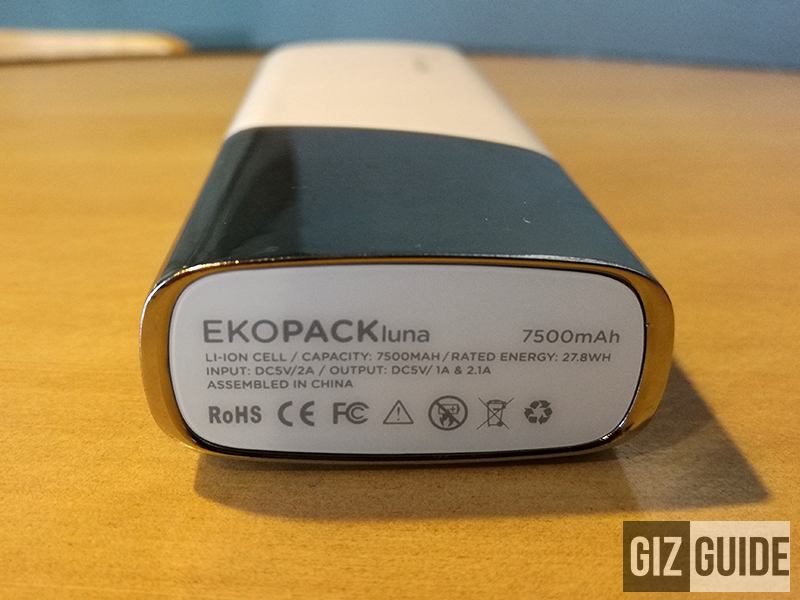 Ekotek Ekopack Luna 7500 mAh Powerbank Review - For Emergencies And Beyond! 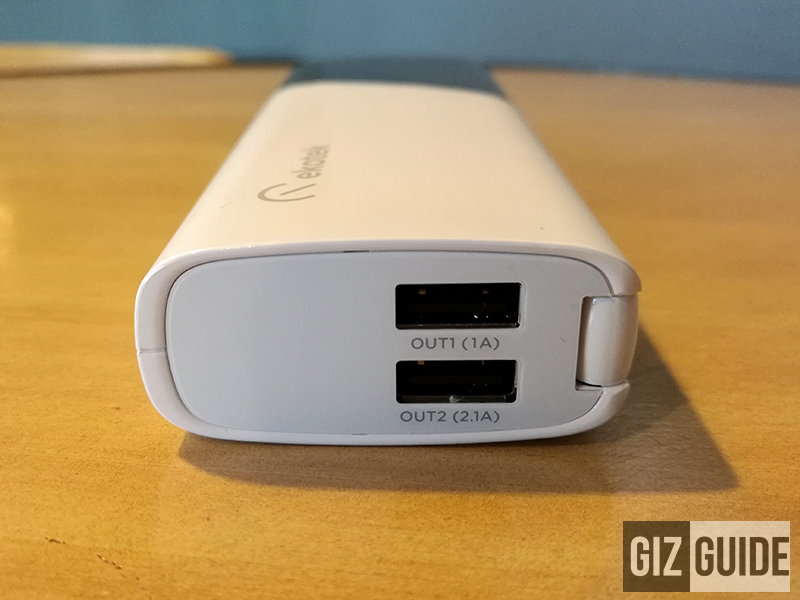 Home / accessoies / ekotek / reviews / Ekotek Ekopack Luna 7500 mAh Powerbank Review - For Emergencies And Beyond! Ekotek is in the business of making high-quality gadgets for quite a while now. In that regard, the company is getting positive recognition in what they do best. One of them is in the powerbank segment. Why? Ekotek's Ekopack line has close to premium craftsmanship and quality in a near budget price. 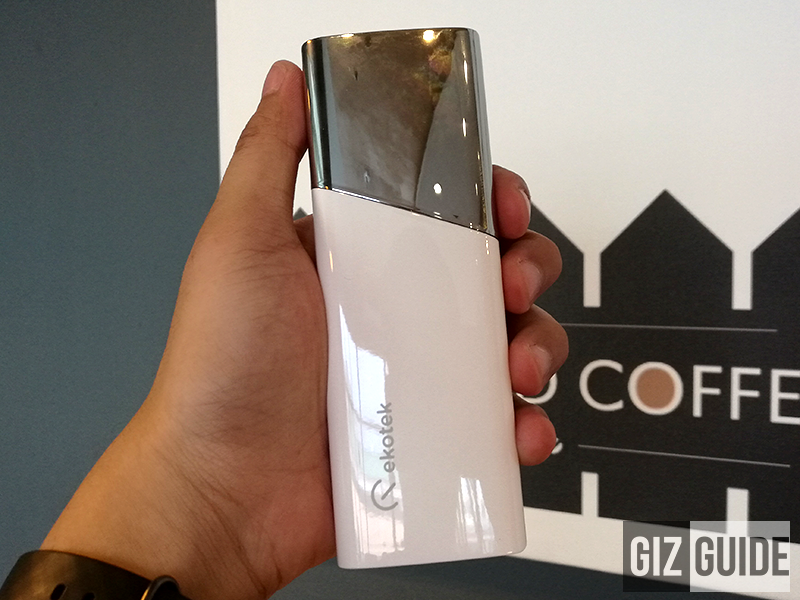 However, a powerbank nowadays should be more than just an ordinary on-the-go charger. It's one of the main reasons why Ekotek recently finished curating the Ekopack Luna 7000 mAh powerbank. It's a charger that has dual charging ports (1 fast charging) and several cool features that could be useful in emergencies and everyday life. We have the unit with us so without any further delay, here's what we think about it. 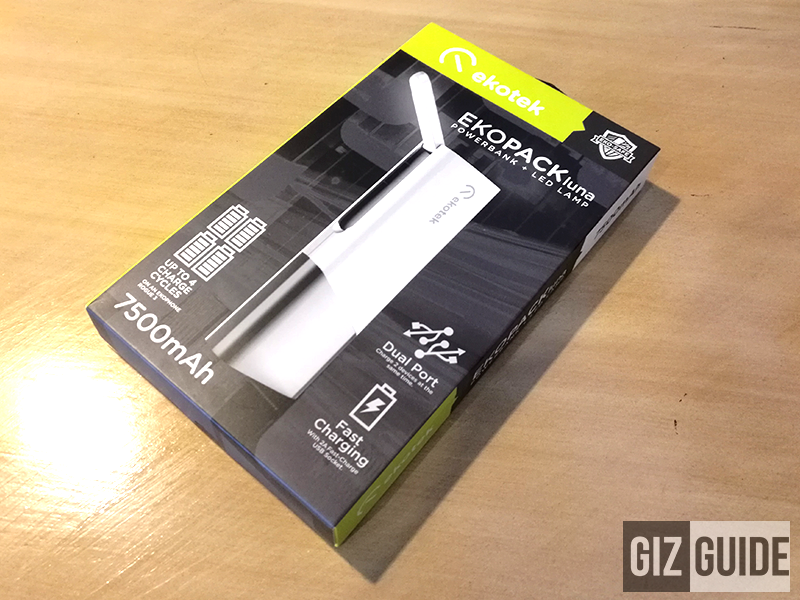 Just like the rest of the Ekotek gadgets, the Ekopack Luna 7500 mAh powerbank comes in a stylish looking box that looks premium considering its price. 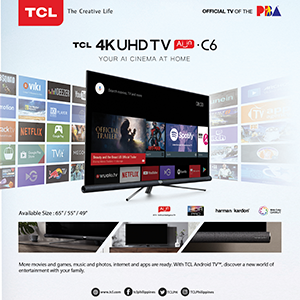 It contains most of the basic info such as specs and features of the device as well. Upon opening the box, it contains the Luna itself, a short USB to micro USB charging cables, and the user manual. It would have just been better if there's an included USB Type C adapter in the box. The Ekopack Luna is crafted using high quality plastic that feels durable with glossy finish. On the lower part of the body, there's a chrome painted plastic part that pretty nice on the eyes. This should be solid enough for everyday use and I'm sure that it has the same Ekotek quality inside that's designed to last. Just don't drop it to prevent dents / scratches and preserve its beauty. The powerbank is solid and has the well know Ekotek durability and quality inside. 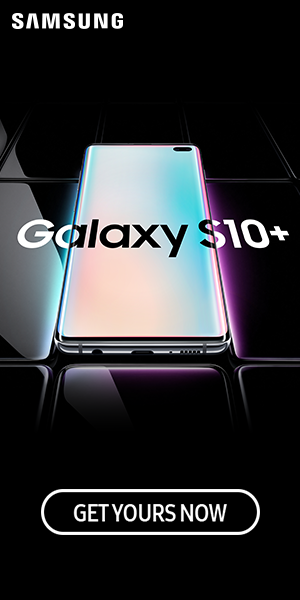 Going to its design, this phone looks unique. It comes with a perfume or lotion like frame which could be a hit or miss in terms of style. Some guys will like it and some will not. For the ladies, this should attractive for them. Anyway, it is just a little taller than my liking, fortunately, it isn't thick. What's more important here is its ergonomics, functions, and ports. We liked that it feels very well in the hand, doesn't have sharp edges, and well crafted overall. It isn't also heavy which makes it easy to carry everyday. 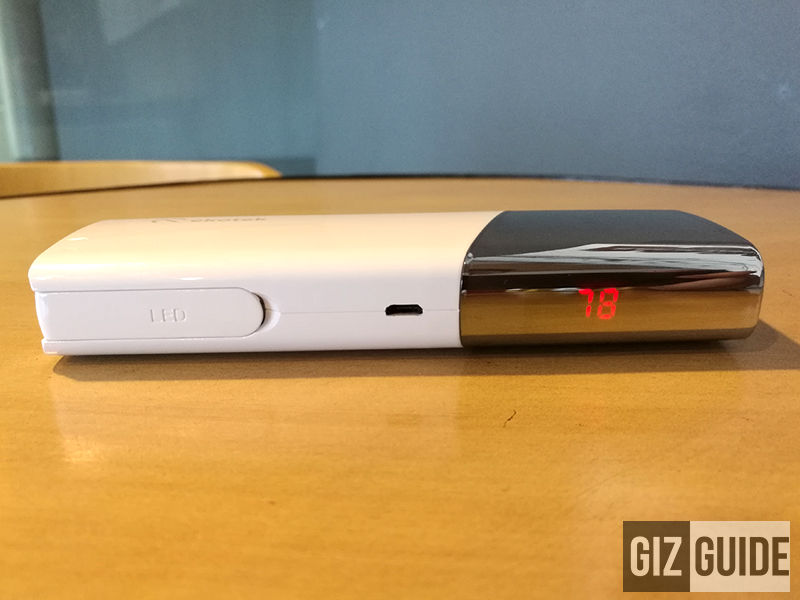 We also like that there are now labels in its dual charging USB ports, LED lamp, and a battery level indicator that appears when you shake the device. Ekotek's Ekopack Luna 7,500 mAh powerbank is equipped with high-performance Lithium Ion cells inside. It also includes 1x 1A standard charging port and a 1x 2.1A fast charging slot. Both works normally with their actual speed. The Luna is one of the fastest charging affordable battery packs out there, something great for everyday use. As a tech blogger who usually covers product launches in badly-lit places, the light coming from the Ekopack Luna is useful at times. Apart from its charging capabilities, the other highlight of this powerbank is its built-in powerful LED lamp. For its size, its brighter than most LED light we saw on this type of device. That makes it a great and useful source of light that's perfect for emergencies and etc. 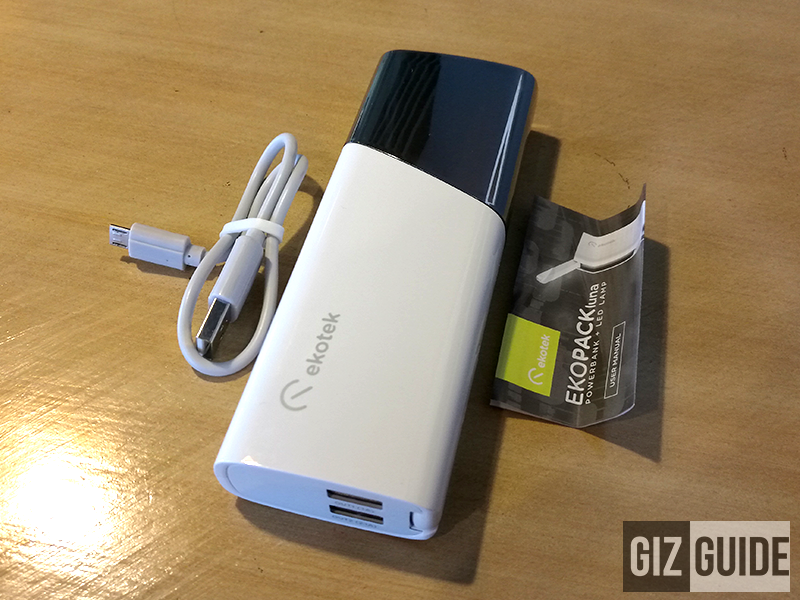 Ekotek's Ekopack Luna 7500 mAh powerbank is great enough to be our everyday battery pack. It's stylish, good enough to charge our phones for a couple of times, and has that quick to charge ability that's not commonly found on other high-capacity powerbanks. 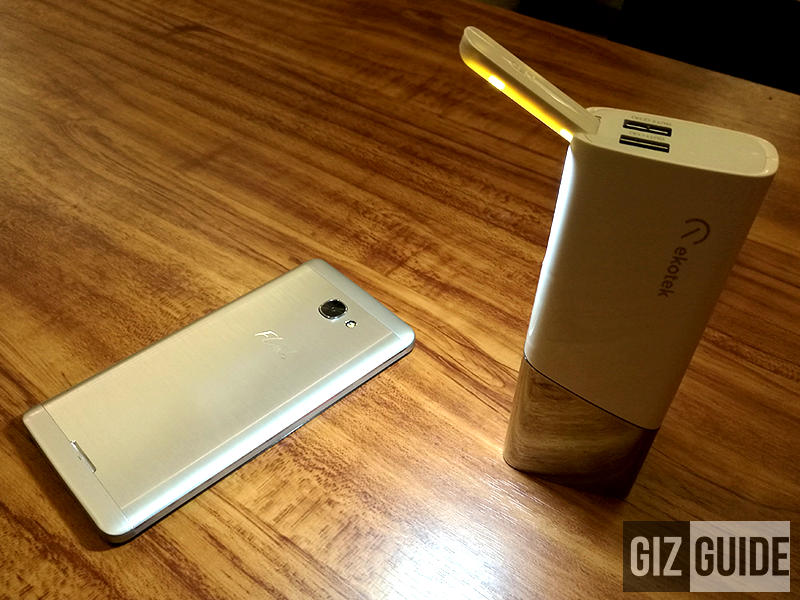 Plus, there are not many high-quality powerbanks out there that comes with this bright type of useful light. In the end, it may not have the highest-battery capacity for the price, but for its purpose, the Ekotek's Ekopack Luna shines for its purpose.